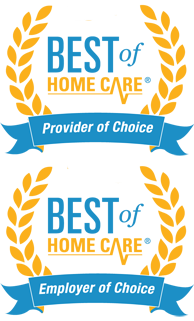 Top In Home Health Care Agency, Homewatch Caregivers remains dedicated to Wilmette area seniors and their families by providing best-in-class home care that helps to enrich lives and maintain the highest possible level of independent living for your elderly loved one. 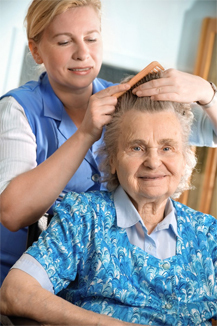 We offer an extensive variety of home health care services for seniors tailored to meet the unique desires of each individual client we serve. We are available 24/7 to assist you with pricing information and time-saving details. Our mission is to maintain our clients’ independence and dignity, while providing them with the support and care they need. We focus exclusively on facilitating the enjoyment of life by providing the ways and means to do so, enriching desire to thrive, and caring for those who can no longer care for themselves. We have great understanding of the importance of trust and compassion in caring for your loved one. This is our reason for triple screening and training everyone on our staff to ensure the best possible level of services. Our entire home care staff is bonded and insured as we believe that good care simply begins with trust. We can help you determine the type of care you need whether it’s simple companion care, hands on personal care, back-up child care, respite care, Alzheimer’s or dementia care, require skilled nursing or even around-the-clock, live-in care, We can also assist you in determining if services are needed for just a few hours, a week or indefinitely and we will work closely with you and your family to customize a program that provides a perfect balance of services and value. Our goal is provide you with peace of mind regarding the quality of care that your loved one is receiving. This is only possible by employing caring and compassionate dementia caregivers. We understand that caring for a family member with memory impairment is stressful, and having a neutral caregiver from outside your family can help ease the emotional burden that comes with caring for a loved one. At Homewatch CareGivers Northshore we specialize in providing you with the Best Home Care Professionals in Wilmette Illinois.